38 - £81.99 Only 1 left! 40 - £81.99 Only 1 left! 42 - £81.99 Only 1 left! 46 - £81.99 Only 6 left! Orange is the new black after all. Yeah, so ya robbed a bank. Get over it. You were very polite. You handed the bank teller a note that read "Please, may I have $150,000 right now? Thank you. You can page the police one minute after I leave. Have a lovely day." You didn’t threaten anyone. You even used proper English. Heck, you just asked for the money, and they gave it to you. That's not robbery. What banks do is robbery. Right Wall Street? So you're in the slammer for "robbing" a bank. (Robbing is such a harsh word.) You are fine with doing your time. The judge was lenient on you. You did say 'please' after all. You don't mind the work: transcribing books into braille for blind kids. You don't even mind the food—well, you've definitely had worse. No, the thing you mind is the outfit. You get it, it has to be orange. But does the Department of Corrections have to make you wear an unflattering jumpsuit? You are refined inmate. A learned man. You do not need to be wearing a onesie. No, you deserve a suit. 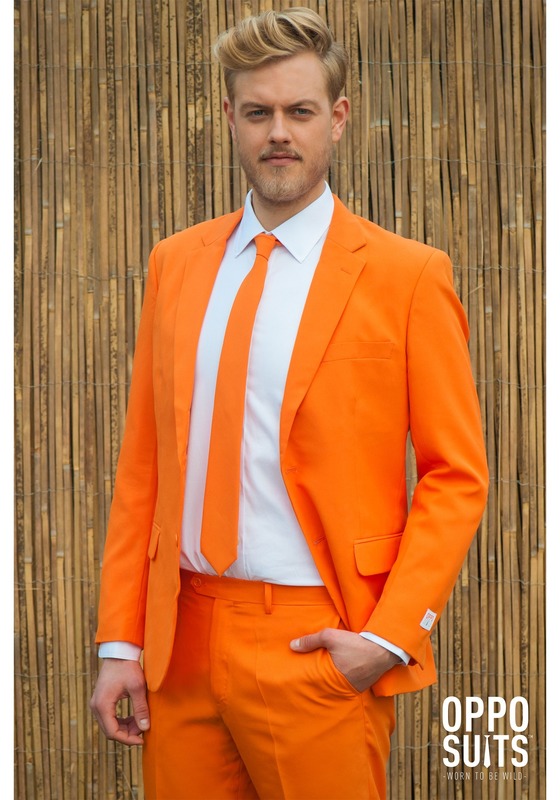 This Men's OppoSuits Orange Suit (we know the name is not as elegant as your note), is just the right shade of Orange to match the DOC jumpsuits. 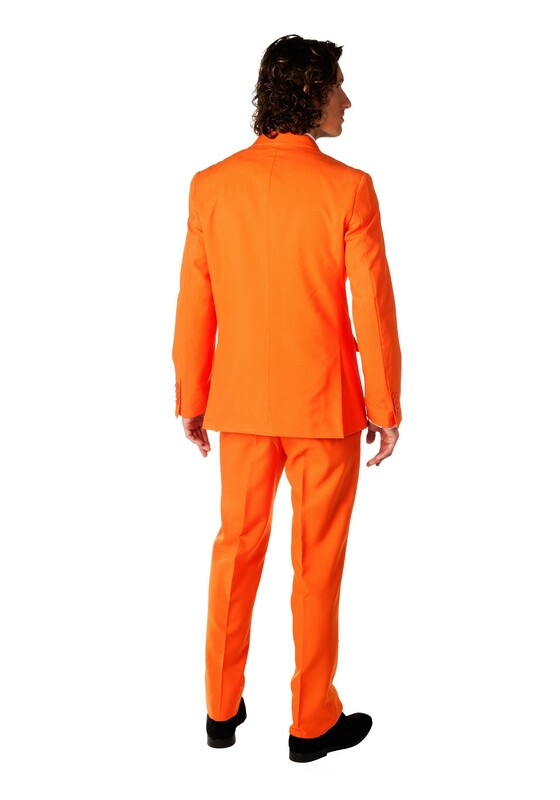 You can have your stylish good looks, and they can see you in the bright orange. It's not like you are going to run away. You don't have any money on the outside, right? Unless...did you stash some of the $150,00?